Bread is something that most people love but don't try to make at home. I remember in high school I would make bread because I loved the fresh flavor of a warm, just out of the oven loaf of bread. I used to make a cinnamon raisin swirl bread for a long time that was delicious with a glaze on the top. I don't think I could pick a favorite bread if I tried. I love pretty much all of them, except rye, I just can't do it. For a long time I chose make bread every week because my son couldn't have soy and soy derivatives were in pretty much every loaf of bread at the store except the $5.00 loaves. 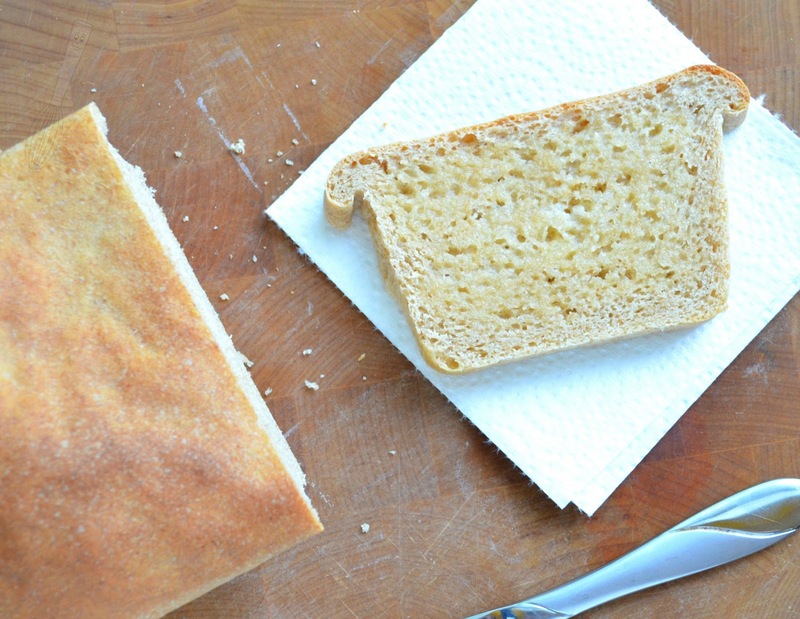 I knew I could make bread for him that would be inexpensive, healthy, and delicious. I would make all different flavors and shapes of bread loaves and sometimes rolls. I've made sourdough a few times and I love the flavor of it but really am just to lazy and/or forgetful to keep up with the starter. So I just buy sourdough every once in a while. I would like to work on a loaf that incorporates whole cloves of roasted garlic because roasted garlic clove bread is definitely in my top 5, along with sun dried tomato bread, and a hot baguette of French bread. When bread is warm then I don't even use butter. I decided to make bread this week because I thought it would be a nice change of pace. 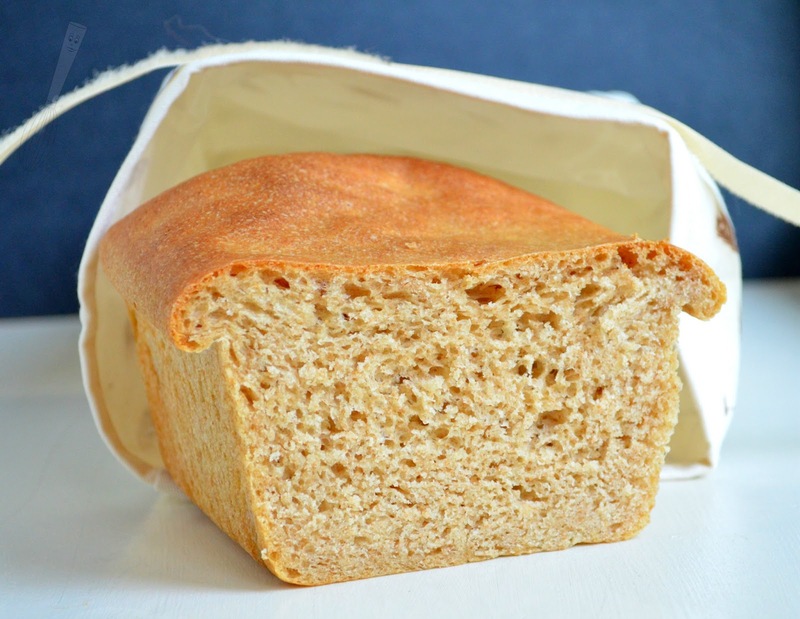 This recipe uses bread flour and whole wheat flour but if you're in a pinch you could use just all-purpose or sub all-purpose for the bread. I always have three types of flours at home so sometimes I get crazy with my flour mixes. I used to have four though (including self-rising) and now I just use another type with the addition of leaveners. I also tend to not use cake flour, I just sub another flour like all-purpose and take a tablespoon out of the measuring cup before adding it. One thing I love about this recipe is that you just mix it all in one bowl at the same time, then flip it into another bowl (or the same one if you really want to) to rise, pop it in the loaf pan, rise again, and bake. It doesn't involve mixing a few ingredients in one bowl, then a few in another, then add them alternately with something else. This can be mixed together in 10-15 minutes then it's all about waiting and not active time. Well, you can be active and get other stuff done :). I also love the "crumb" of the bread because it's perfect for sandwich making (as the name implies) but would also be great for french toast, or just toast. I bet it would make great croutons too! It's not the type of bread that will crumble as you cut it though, which I seriously dislike it when my bread falls apart when I'm trying to cut it. I hope you enjoy it as much as I do. Happy Baking everyone! 1. Combine all of the ingredients in a large mixing bowl and stir by hand until combined. 2. Using a dough hook, mix on medium speed for 6 minutes until the dough is smooth and doesn’t stick to the sides of the bowl. Adding 1-2 tablespoons of water or flour may be necessary to achieve the correct consistency. 3. Place dough in a greased bowl and cover with a kitchen towel. Let rise in a warm place until almost doubled in size, about 1 hour. 4. Punch down dough, shape into a small loaf, and place in a lightly greased 8 ½” x 4 ½” loaf pan. Cover with a kitchen towel, and let rise 45-60 minutes or until the dough is about 1” above the edges of the pan. 5. Preheat the oven to 350F. Bake the load for 34-38 minutes or until golden brown on the outside and it makes a “hollow” sound when you tap it. Cool on a wire rack (if you leave it in the pan too long the bottom may become soggy).